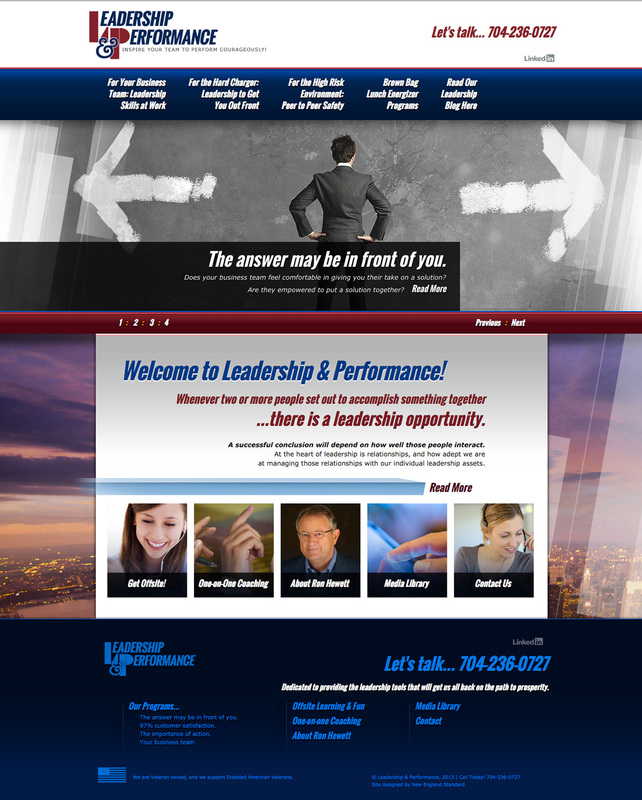 Lead & Perform is a leadership consulting firm based on Raleigh-Durham, North Carolina. 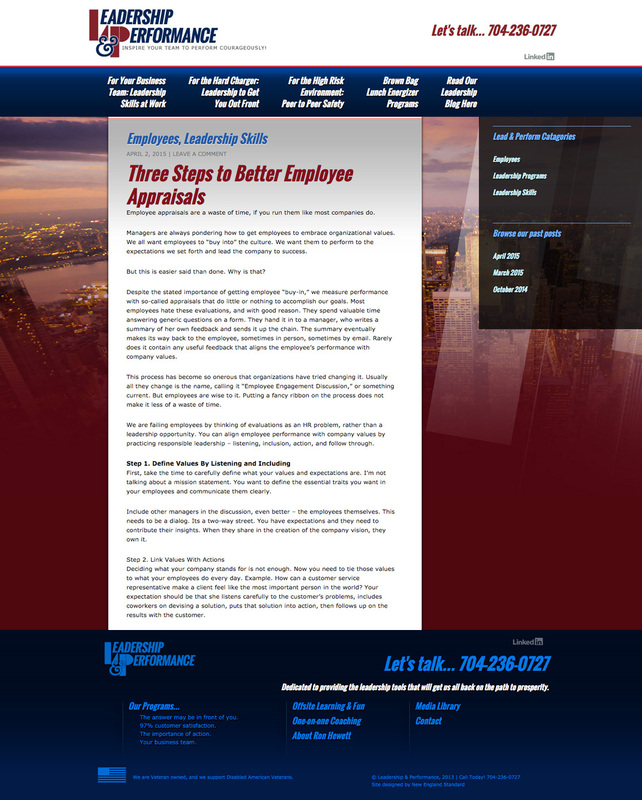 The company needed a website that would attract clients in the research triangle park region that are interested in individual and group leadership consultation. 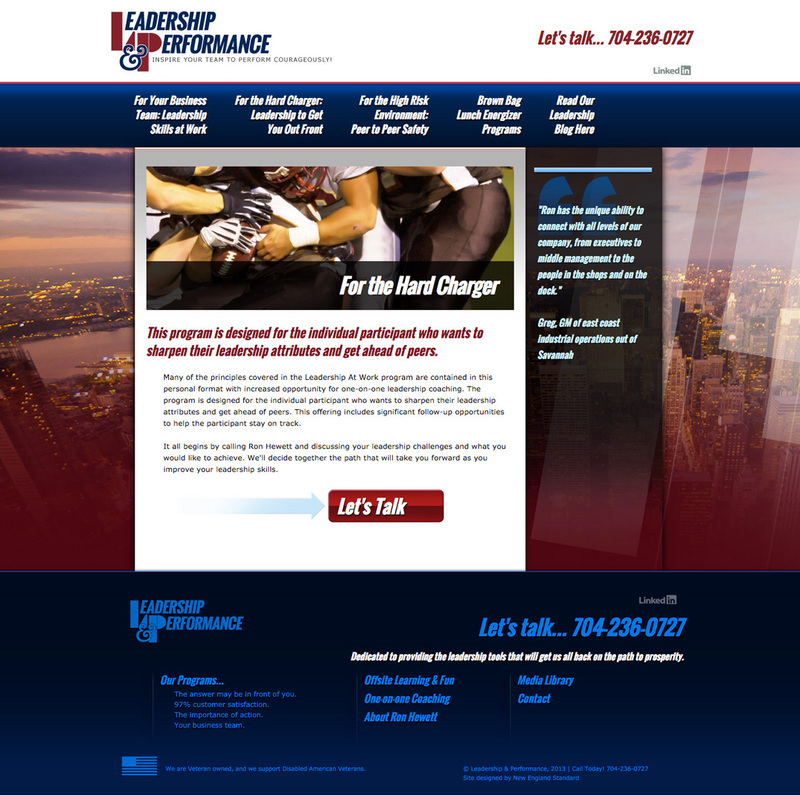 This project involved website development (stage one), content marketing, and search engine optimization. Our goal is to generate new business leads from the North Carolina Piedmont area. We created a website that guides the user to content specific to their needs. Now the focus is on creating and distributing content that will establish Leadership & Performance as a true influencer in this space.